Clay County Commissioners will speak on the “State of the County” at the Feb. 27 luncheon meeting of the Clay County Chamber of Commerce. 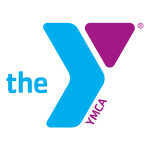 The meeting begins at noon at the Clay County YMCA. The cost for lunch is $10.